The government is set to cut tariff on imported goods, particularly rice, vegetables, corn, wheat flour, and meat that includes poultry, in a move to address the inflation, which hit a fresh high of 5.7 percent last July. National Economic Development Authority (NEDA) Secretary Ernesto Perniadisclosed this Wednesday at the Senate hearing on the proposed 2019 P3.757 trillion national budget. 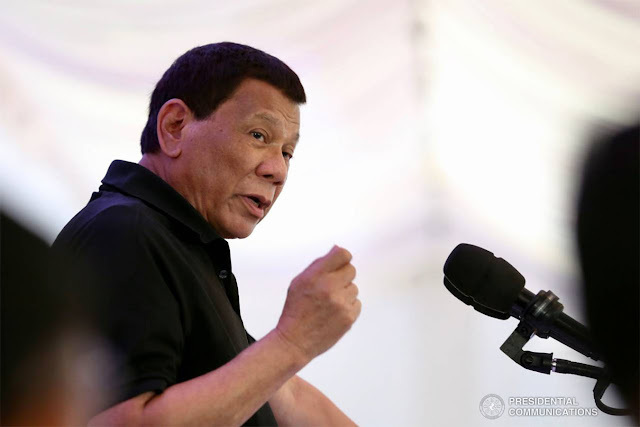 He said that President Duterte is set to sign this month an executive order directing the reduction in the tariff on the imported goods to address inflation. A high inflation rate triggers increases in the prices of commodities. Albay Rep. Joey Salceda disclosed that measures to control inflation were discussed by former President and now Speaker Gloria Macapagal-Arroyo during a meeting with government economic advisers. It was reported that Arroyo had urged President Duterte to issue the executive order that will reduce tariff on fish and meat imports to combat inflation. Salceda, vice chairman of the House Committee on Economic Affairs, said Arroyo’s proposal also covers imports on poultry, corn, wheat flour, and vegetables. The Bicolano lawmaker warned that unless strong measures are put in place to take care of soaring inflation, the country’s poor population will increase. Arroyo reportedly explained that meat and fish imports are two of the items that account for 0.9 percentage point of the 5.1 percent inflation rate recorded two months ago. But the executive order could only be signed when Congress goes into a two-week recess that will start on August 16, it was explained. Under the law, the executive branch cannot reduce the tariff on imports when the two legislative chambers – Senate and the House of Representatives – are in session. This was confirmed by Senate President Vicente C. Sotto III. Sotto said the executive order is urgently needed to reduce the prices of rice and other foodstuffs. The executive order would arrest the prices of commodities because passage by Congress of the Rice Tariffication Bill takes a long legislative route. And after its enactment into law, government still has to prepare the implementing rules and regulations (IRR) to make the statute valid. The delay is not a problem since the adjournment period is pockmarked with holidays and that Congress holds plenary sessions from Monday to Wednesday. As this developed, the House of Representatives is no longer pushing for reduced tariff rates for imported meat in order to temper soaring inflation affecting the country. Arroyo gave this assurance as Salceda, designated by the speaker as anti-inflation focal person, warned that inflation in the country will also raise the number of poor Filipinos. In a statement, the Office of the Speaker denied Arroyo was indeed pushing for reduced tariffs on imported meat. “Upon clarification with the Speaker, she clearly stated that she is not advocating for the importation of meat products at reduced tariff rates considering that there are other more substantive drivers of inflation as cited in the PSA (Philippine Statistics Authority) survey,” Arroyos office said in a statement released Wednesday. It was earlier reported that Arroyo had urged President Duterte, as well as the country’s economic managers, to remove taxes on fish and meat imports as this could tame inflation to below 5 percent. Agriculture Secretary Emmanuel Pinol has stated that he is supportive of Arroyo’s proposal, although he aired concerns that this might adversely affect local farmers. Arroyo met on Wednesday with local producers and other stakeholders to clarify the issue. She said her zero tariff proposal was just one of the results that came out of a “brainstorming” session she had with her team and was just meant to be as an “option” in case the national government would get her recommendations on how to tame inflation. “It’s not about friendship. It’s a matter what economically makes sense. And whatever the arguments are, the DA (Department of Agriculture) said the tariff on meat can’t be brought down so it will not. But please do help us reduce the prices of meat voluntarily,” Arroyo said. “At the end of the day it’s going to be the executives [economic managers] who will act on it [inflation],” she added. As of now, the Philippines imposes tariffs, ranging from 10 to 40 percent on meat imports, while imported fish are levied with 3 to 10 percent duty.